HTML and CSS both are the main languages used to create web pages. HTML gives the structure of the document and CSS gives the layout to the document. 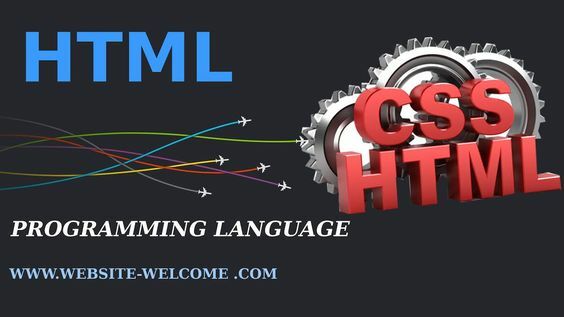 HTML is abbreviated as hypertext markup language. HTML is used to create web pages and user interfaces for web applications as well as mobile. The user interface created is used to communicate with others through web browsers. HTML was developed by Tim Berners Lee in 1990. It is a structured language not a programming language as structured documents are created using this language with 1 the help of headings, paragraphs, links etc. HTML elements make the building blocks of the language. HTML elements include HTML tags. And these tags are denoted using the angular brackets. HTML tags are of two types: The paired and the single one The paired HTML tags contain two parts: The opening part and the closing part. The text in both parts that is the opening and the closing is same. The only difference is that the closing part contains a backslash. For example: <html> is the opening tag and </html> forms the closing tag. The content written within the opening and closing tags is formatted based on the tags used. The single tag has the opening part only. The content written after single tag is formatted based on the tag used. Tag attributes are used to personalize the content. Tag attributes are defined using ‘=’ sign within the opening tag. Tab attributes can be mandatory or optional based on the tag used. For example : tag <img> has the mandatory attributes i.e src. Tag <font> has the optional attributes as width, color. HTML5 is the updated version of HTML4 which has the base as HTML4 with few additional tags. CSS is abbreviated as Cascading Style Sheet. CSS language evolved in 1997 but gained more popularity in 2000. CSS is basically used for the designing of the document created using markup language. It was basically designed so that document content can be separated from the document design and presentation.